The lesson study process is one of the most unique teaching techniques available to 21st century teachers. During a lesson study, instructors present a lesson and uncover what makes it effective or ineffective. Bringing several teachers together and using their combined knowledge to create, teach, and reflect on a lesson is one of the best teaching strategies for instructors. Teachers are life-long learners and are always looking for ways to improve their skills. Lesson study is an ideal format to observe what does and doesn’t work and make improvements. Now take the lesson study one step further. 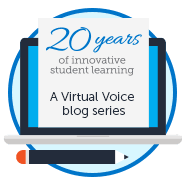 How do you conduct a lesson study virtually? We talked through a series of leading questions provided to the teachers prior to the meeting: What qualities would you like students to have when they graduate from high school? In your eyes, what are the qualities of your students now? Compare the ideal and the actual. What are the gaps that you would most like to address as an educator? What topics are persistently difficult or disliked by students in the course? What data exists to support your answer? What topics do you find most difficult to teach? Are there specific Common Core State Standards that you want to better understand? After the conversation, the next step was to collect data to bring to our Lesson Study Professional Learning Community. The group was challenged to start thinking about goals for the research. What will get our students from the initial understanding to the desired understanding? What can make this lesson motivating and meaningful to students? What evidence should be gathered and discussed about student learning, motivation, and behavior? The Lesson Study Professional Learning Communities then selected their area of research and continued to meet virtually (or in person). They taught their live lessons to students virtually and then held virtual debriefing sessions for each lesson study to analyze the data. Conversations circled around the benchmark, learning goals, engagement, student achievement data, and 21st century purpose and goals in education. Reflective discussion addressed: How did we know when they learned it? What did we learn about our students? What are the implications for teaching and collaboration? What did we learn about ourselves through the lesson study? What impact did it have on our teaching practices? What impact has lesson study had on our professional relationships within our team? The participants found the experience to be just as valuable virtually as it would have been face to face. Lesson study is a process that improves teaching and student achievement. Teachers work in small groups to collaborate, to plan, to look at student achievement data, and to reflect. This form of professional development takes teachers beyond their own classrooms and into each other’s classrooms. Whether it is done face to face or virtually, lesson study definitely makes for great Professional Learning Communities and will improve student achievement. How are you conducting lesson study at your school? 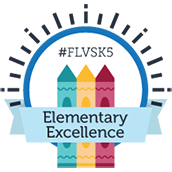 This entry was posted in Educator Edition and tagged Florida Virtual School, innovation, Learning Communities, Learning Forward, Online Education, Professional Development, Professional Learning, Research, Tips for Educators on October 15, 2013 by Mary Mitchell.